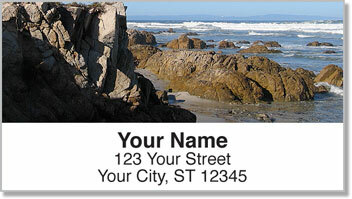 Some would say the soothing sounds of crashing waves on the shore. Others say an invigorating swim in the ocean refreshes them like nothing else. Being by the water can make you feel energized and can also bring you peace. The connection is undeniable. These four remarkable photographs feature shots of where the land meets the sea. 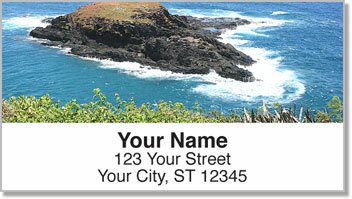 It's one of our most stunning scenic selections. 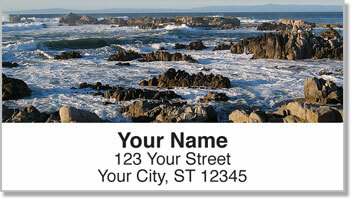 But these address labels will also be a helpful time-saver. Since they have a self-adhesive backing, just peel and place one on each envelope, instead of writing out your return address every time. 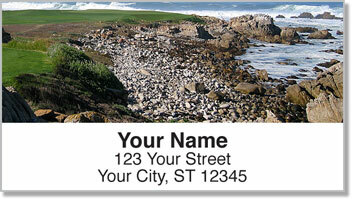 Make our Rocky Coastline Address Labels yours today! You can also order matching checks.